We have some new chairs and tables delivered at work. They were stacked in the smallest room possible, still wrapped. I loved the shapes and shades. 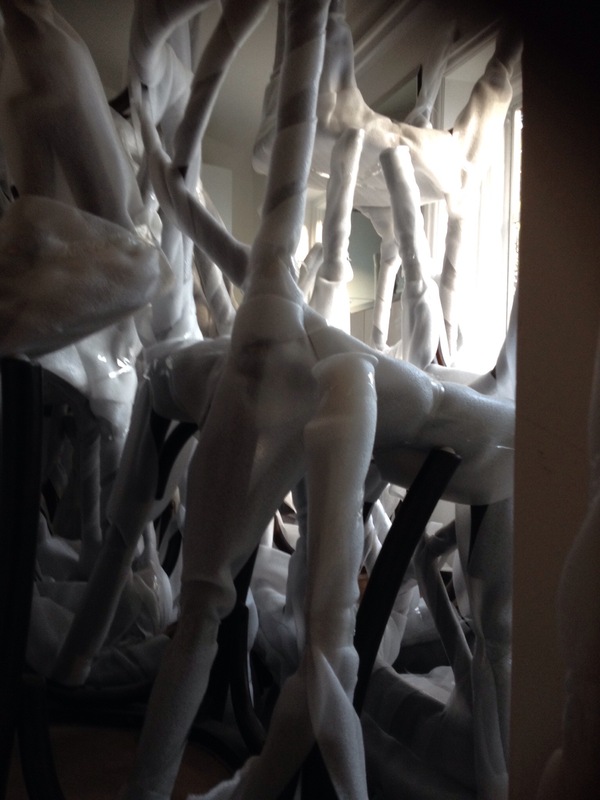 The image above is from inside, from outside the window it looked like we we’re being haunted by mummified furniture. Why is ‘amateur’ such a dirty word?